Truth Heals: What You Hide Can Hurt You, by Deborah King. Learn about the chakras and their effect on our emotional and physical well being. 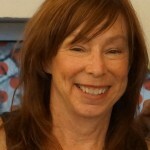 Barbara Sinclair is a visual artist and holistic health practitioner with a passion for Ayurveda, the ancient mind/body system of healing and longevity. Barbara was able to heal herself from years of fibromyalgia, a chronic pain condition, by adopting an Ayurvedic lifestyle. She is now pain-free and joyfully shares these methods with her readers and clients. Barbara received her Ayurveda training from Wise Earth Ayurveda, the first school of Ayurveda teachings in the US. She is also a certified holistic health coach(Institute for Integrative Nutrition) and certified energy healer (Deborah King Center).You can contact Barbara HERE for an Ayurvedic consultation or energy healing session. To receive her monthly newsletters as well as weekly practical Ayurvedic tips click HERE. To view Barbara’s articles on CLN, click HERE. I have chronic fatigue syndrome and its in control most of the time. Few times a year i am tired without any reason, i used to get anxious at that time but now i rest on those days and usually feel better next day. As i understand fibromyalgia and chronic fatigue are on the same spectrum. for me also it started after a flue like symptoms and was positive for epstein barr virus. My question to you is, is there anything you can guide me with regarding this and. I am in small town in southern illinois so not have access to a lot of things. Thank you for your article…I was waiting for the sales pitch at the end. I am truly grateful for the information which you provided, without offering some product (for sale) following your well written post. Hi. I have suffered with fibromyalgia for about three years now. I have just read your article and it was like reading my life story. I find it still a very tabu subject and people are very niave. Thank you for this. I, too, have been healed from fibro…there were days of not being able to walk and severe pain that would wake me in the middle of night. Doctors offer no relief other than antidepressants and pain relief and referrals for physical therapy. Three months into antidepressants there was still no relief and pills was not a path I was willing to walk down. I took to accupuncture and incessant research and one day my brother introduced me to an amazing energy healer. I walked into his office limping, dragging my leg behind me and since that one session, I have had minimal pain on occasion. I called my energy healer for another issue and telepathically we had a session and while he was healing the secondary issue, since that second treatment, I have not had a moment of pain since. No one should have to live in pain on a daily basis like that but we also have to seek out the help that makes sense for us and not simply take a doctor’s diagnosis as the last word. It seems they can help temporarily but they cannot cure. The integration of mind, body, spirit and the practices that support that integration does cure…but you have to do the work! How exactly do I find an energy healer that is legit? I am willing to try anything! I have suffered from fibromyalgia for almost 20 years now. There have been times when I was painfree for months at a time ( I had a great Dr who was treating the whole body and releasing built up tension and herbal medications that opened up my endocrine system, etc. However, each year that passed the fatigue and fibro fog seems to be getting worse. To the point where 3 years ago I had to go on disability because I cannot function enough to hold a job. I recently found Ayerveda but am having trouble concentrating enough to understand what I need to know and what to do. Any suggestions? Is there Ayerveda for dummies? Or a cliff notes version? It may be helpful to have an ayurvedic consultant or yoga therapist to help you keep it all organized. Your article was sent to me by a caring friend. My story is familiar, being diagnosed with fibromyalgia around twelve years ago.The medical profession only offered depression type drugs so I spent a lot of money on alternative treatments. After many years I eventually learned that cognitive therapy an excellent medical herbalist and spiritual healer have assisted my recovery. This year I am taking up meditation. I have found on my journey that the best healers inevitably cost the least and offer so much more with their insightful holistic approach. It is foreign to me, and sometimes alarming letting go of mental pain, especially when it is least expected. The acrostic poem is so true. Thank you for sharing your story. I just need to know that Ayurveda treatments DO cure fibromyalgia right? Like if you follow the ayurvedic procedures, do yoga and other medical herbs stuff there is a cure for this right? Please do reply. Thanks a lot for this article! I left a reply a few weeks back but it wasn’t published for some reason. I read your article with great hope. But my conclusion is that you we’re healed by an Indian doctor who totally seems out of reach, inaccessible and even out of the country so, what is the solution?? Ayurveda didn’t heal you so that’s not it. Where should I go if I want to get better, like you did, what steps should I take?? I appreciate your article. I was diagnosed with Fibromyalgia over 20 years ago. I had never hear of it prior to the two doctors stating that this is what I had (One was a rheumatologist). I was also diagnosed with chronic fatigue a few years later and then I have have had a few other health issues in the meantime. I thought I has the pain under control — and I did for quite some time– now it is back and worse than it has been in sometime. I have had family members go thru traumatic health issues lately and I have been one of the caregivers. I have been told that what I have is not as important as what they are going thru. I have decided that I am going to try and figure out a way to halt this pain which is beyond belief sometimes (now happens to be one of them). I feel guilty because I have pulled back from helping the others because it is just so painful for me. I would love a massage but due to a prior DVT no one wants to take me on as a patient. I use to do massage therapy before the blood clot. I understand their not wanting to so it just means I have to find other ways of getting rid of the pain. I have found acupuncture and walking and yoga but I must admit sometimes the pain is still there. I do not like taking medications as I have been allergic to quite a number that I have tried. I guess I do not want to end up with a bad reaction. I take vitamins and minerals as a result and every now and again ibuprofen. Thank you for this encouraging post. I am also following a Tibetan medicine course and practicing yoga for my fibro condition. Wanted to know, did you take the Ayurveda and Tibetan course simultaneously? Hi this is a beautiful story and very encouraging. I am facing something similar. So if you see my message or any one else please please provide me Dr. Yeshi’s Contact. I am not able to reach out on the numbers provided on website. Diet is key to All Illnesses!..it’s either healing or killing you! Try eating a good clean wholesome diet, full of anti-inflammatory foods and just see if the soreness and pain subsides! Nancy Gladwin! !care for yourself momma! Hello barbra ..i read your healing story .i am having same problem vaat imblance i need d medication your talking about how can i get that.how can i connect to you i have tried those link are not working..
Sry barbara this is my right email address below.. I was diagnosed with fibromyalgia for 3 years, and it was very painful some days. I was taken methocarbamol to relieve the pain. Sometimes it helps and other days it doesn’t. it was killing me for 3 years, doctor said there was no cure. So I tried to live with it and it wasn’t easy.My childhood friend introduced me to Dr George (Good health herbs home),Dr George fibromyalgia herbal remedy cured me within 6 weeks of usage ,am fibromyalgia free now 100%. How to buy Dr. George formula- nothing on google. Whats in it?